STORAGE SPACE: A closed cabinet, open shelf and drawer provide all the space necessary to hold desk supplies, books, craft items and more! 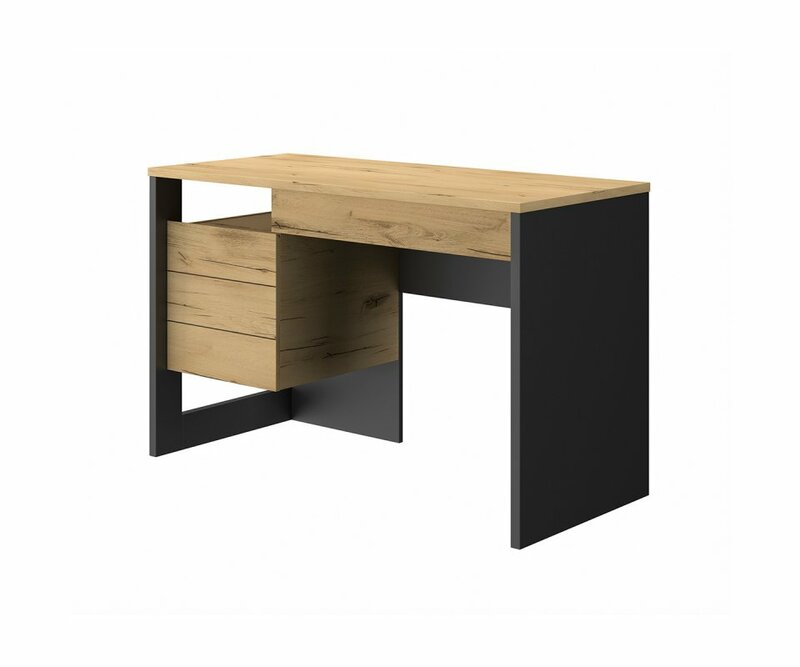 COMPACT SIZE: The Russel desk measures just 46.9” x 21.3”so it will fit in almost any bedroom or living area space, and is ideal for condos, studios, and small homes too! 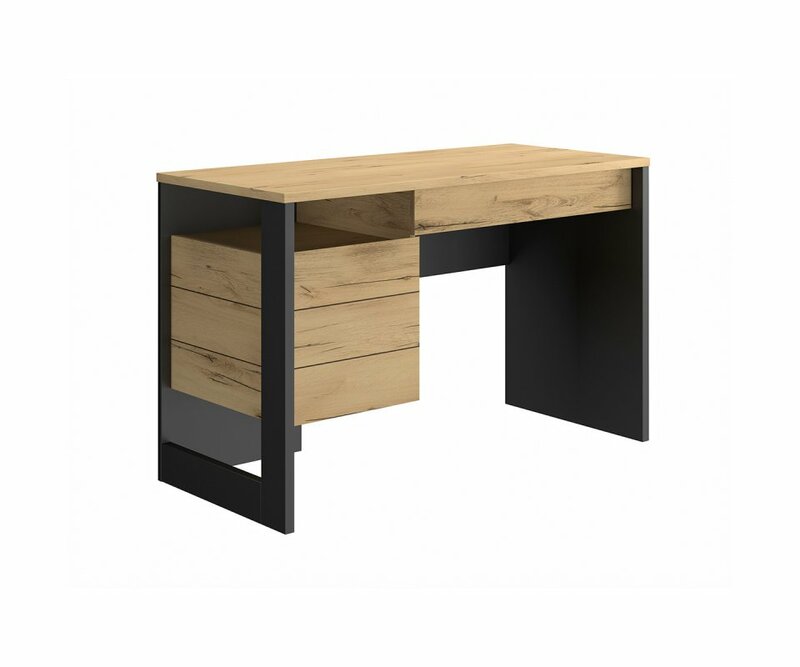 RoomSmart’s Russel desk is designed in a warm natural woodgrain combined with sleek Black matte, in an industrial style that will be a favorite of teens and young adults! 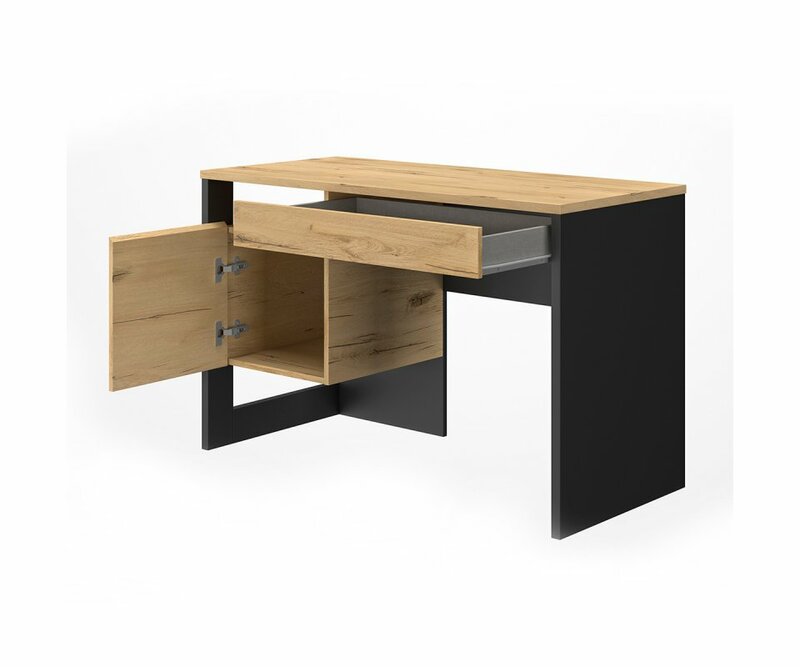 The desk is designed with cutout panels that give it an ultra-modern look, and it features a closed cabinet, open shelf and drawer that provide all the practical places to store desk supplies, books, craft or project items and more. 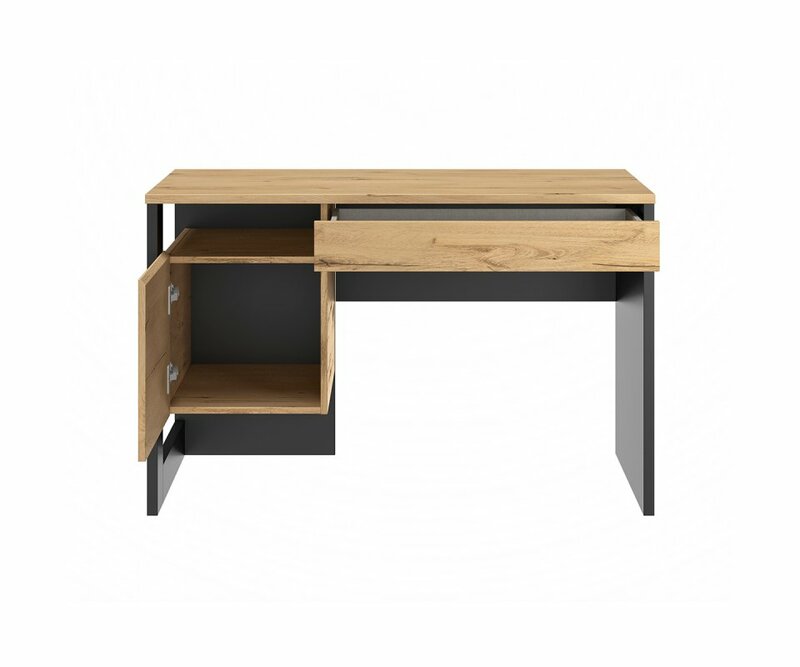 The Russel desk is built from solid MDF boards and is put together with heavy-duty steel hardware, so it will remain sturdy and strong for years of normal daily use. 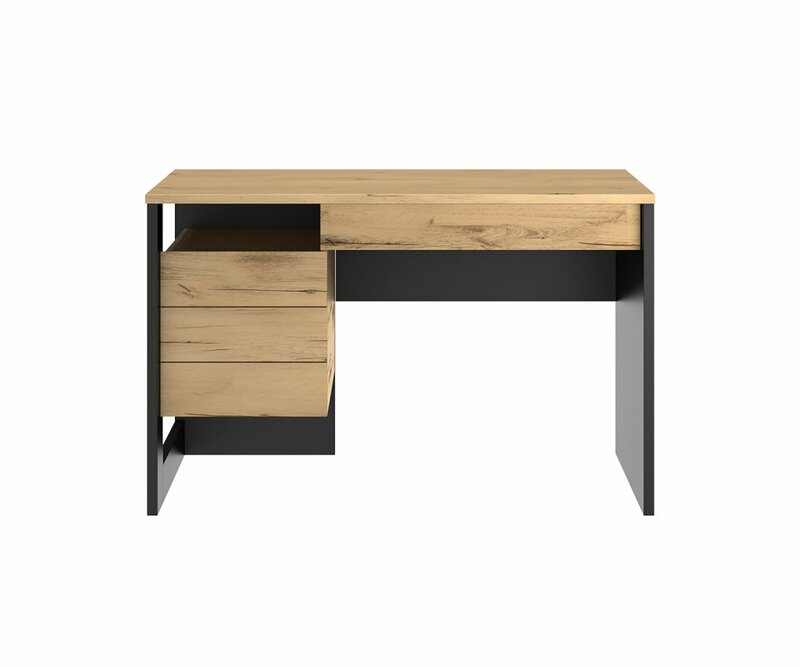 It measures just 46.9” x 21.3”, and fits in most bedroom sizes, as well as being ideal for a studio apartment or corner of a family room. 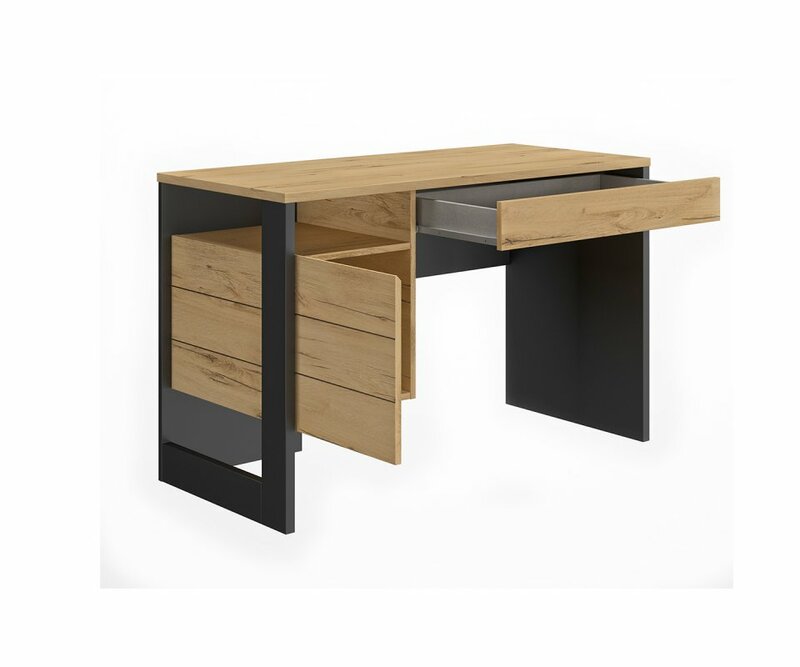 Add some on-trend contemporary style with the Russel desk!